Bringing back the “Voodoo Vibes” to Hard Rock! 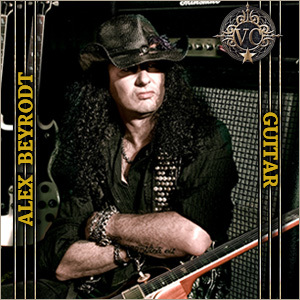 It took Alex Beyrodt’s VOODOO CIRCLE only two studio albums to establish themselves as the epitome of quality in the Classic Hard Rock genre. This union of exceptional musicians has it all: lots of experience, outstanding songwriting skills and musicianship, passion and a sense for great hooks. Now with “More Than One Way Home” guitar wizard Beyrodt and his band deliver the next highlight. It’s obvious that VOODOO CIRCLE have enhanced their Classic Rock repertoire on the highest level. A German band never before sounded that international, with that much English Hard Rock in their blood. It is worth mentioning that Beyrodt (known as one of the biggest Stratocaster fans) also handles the Les Paul masterly. “I tried to give the songs just what they needed, I think this results in more variety while keeping up the Voodoo Circle trademarks”, Beyrodt explains. This way you get VOODOO CIRCLE-typical songs full of dynamic and variety. 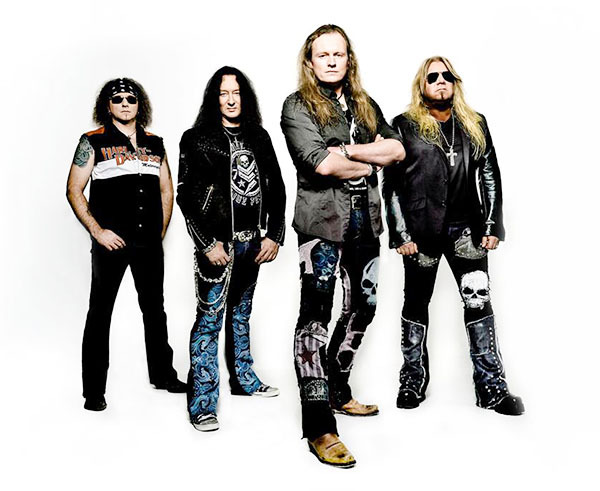 As “More Than One Way Home” implies, there’s always more than one way that leads to the goal – and VOODOO CIRCLE show mastership in every terrain: powerful riff-driven hard rockers, profound tunes affected by the bluesy timbre of David Readman, as well as atmospheric ballads appear to be natural territory for the supergroup. VOODOO CIRCLE create Hard Rock anew and give it extra flavor. “More Than One Way Home” sounds like a journey back in time, to the creative bloom of classic, yearning, bluesy Rock, but at the same time its energy and vitality never make you doubt that we count the year 2013. The melodic anthems, cultivated by the powerful voice of David Readman, the tasteful Hammond sounds by Jimmy Kresic, Mat Sinner’s as usual precise bass foundation and Markus Kullmann’s drumming in best Bonham tradition, appear to come down right from the Olympus of Hard Rock. 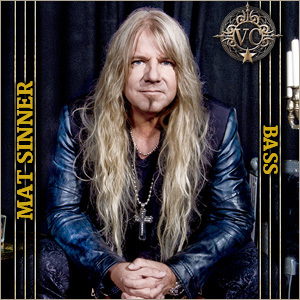 A true band, jamming, following their inspiration – this was the aim of Alex Beyrodt (Silent Force, Sinner, Primal Fear) when the founded VOODOO CIRCLE in 2009. These directives reminded of the golden years when bands like Rainbow, Whitesnake and Deep Purple released their classic albums – but VOODOO CIRCLE never shied back from any comparisons. So “Bringing back the Voodoo Vibes to Hard Rock” became the motto of the new band. Powered by the expressive vocals of David Readman (Pink Cream 69), VOODOO CIRCLE set a big mark directly with their debut album Voodoo Circle. With “Broken Heart Syndrome” two years later the second album even showed progression and inevitably put VOODOO CIRCLE into the focus of the Rock fans. A sensational chart entry in Germany (#64 in the album charts) was proof of the immense popularity of the band.. A European tour with SINNER then became the highlight for all fans of crushing Rock in 2011’s concert season. 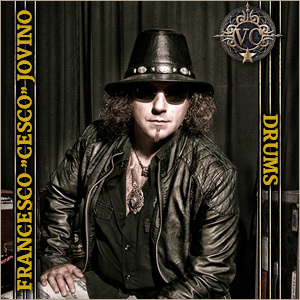 VOODOO CIRCLE’s music is made to be played live on stage, to make the spirit of 70’s/80’s Hard Rock come alive again. “More Than One Way Home” is the third studio album of this extraordinary band. It should be a must-have for all lovers if high-class Rock music. All these will also get the chance to see VOODOO CIRCLE on their headlining tour in May 2013!